5:15PM: Adoption of Convention Agenda & Affirmation of Presiding Officer & Scribe. 5:20PM: Affirmation/Adoption of Bylaws (which need to be transmitted to the National CP prior to Denver meeting for credentialing). 5:30PM: Nomination & Election of MTCP Officers: Chair, Vice-Chair, Treasurer, Secretary. 6:00PM: Nomination & Election of National Committee Members (4), and discussion of upcoming CP National Convention, April 20-21 in Denver, CO.
6:25PM: Adjourning of 2018 MTCP Tele-Convention. 6:30PM: Convening of MTCP Executive Committee Meeting. Officer Reports, Old Business, New Business (Outreach – FB, ? ), Set next MTCP Excom meeting time/place. We the members of the Constitution Party of Montana gratefully acknowledge the blessings of the Lord God as Creator, Preserver and Ruler of the Universe and of this State Republic. We hereby appeal to Him for said aid, comfort, guidance and the protection of His Divine Providence. The name of this political party shall be the Constitution Party of Montana, and hereinafter may be referred to as the State Party. The State Party is affiliated with the national Constitution Party and hereinafter may be referred to as the National Party. 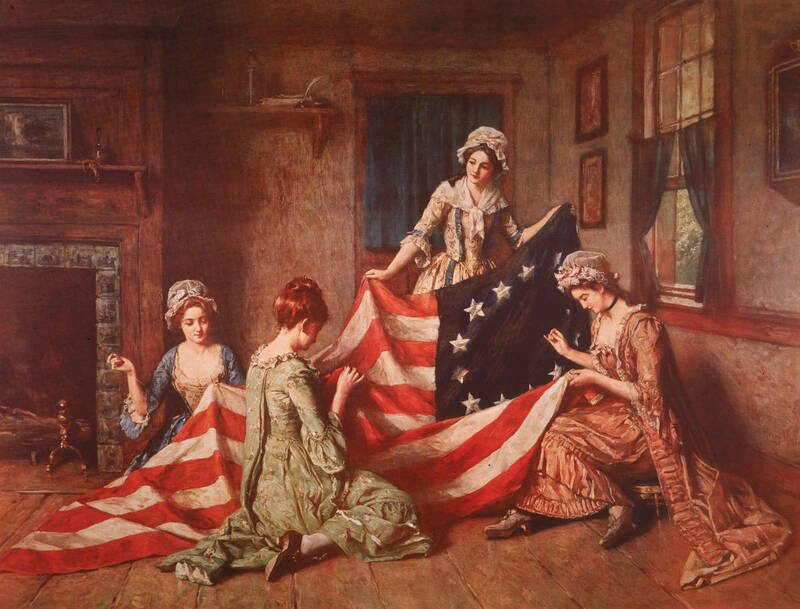 Promote allegiance to God’s laws and the Principles and Objectives of the Declaration of Independence and the Constitution of the United States of America and the Bill of Rights as conceived and set forth by our Founding Fathers in their establishment of our Republic; affirm that the Declaration of Independence occupies a primary and defining relationship to and equality with the Constitution of the United States of America, and further affirm that the latter document was never intended to supplant nor replace the former document, but only to perfect it and the Union of States which it brought into existence. Montana Code Annotated shall be part of these Rules and Regulations. The specific wording of individual planks in the Constitution Party of Montana platform may deviate from the National Party Platform provided that the intent is maintained as the State Party Platform may contain planks that are unique to the State of Montana. Declares affiliation with the State Party and agreement with principles set forth in the platform of the Constitution Party of Montana. No member of the Constitution Party may be a member or officer of another political party. State Central Committee membership shall be organized as specified in Montana Code. The State Chairman, Vice Chairman, Secretary and Treasurer shall be elected by the state convention for a term of two years. A vacancy in the office of State Chairman shall be filled by the Vice Chairman who serves the remaining on-expired term of the vacating State Chairman. A vacancy in the office of State Vice Chairman shall be filled by appointment by the State Chairman selected from members of the State Central Committee. The appointee shall serve the remaining un-expired term of the vacating Vice Chairman. If both positions (State Chairman and Vice Chairman) become vacant, a meeting of the State Central committee shall be called by the next ranking officer to choose successors. A vacancy in the office of State Secretary shall be filled by appointment by the State Chairman and the appointee shall serve the unexpired term of the vacating secretary. A vacancy in the office of State Treasurer shall be filled by appointment by the State Chairman and the appointee shall serve the un-expired term of the vacating Treasurer. Removal of any elected officer shall be considered upon presentation of the petition setting forth in detail the reasons for seeking such removal, and signed by a sixth of the full membership of the State Central Committee. The petition may be presented at any regular or special meeting of the State Central Committee provided the notice is given fourteen (14) days in advance of the meeting. Removal shall be by a two-thirds majority of those representatives present and voting at any meeting at which a quorum is present. The State Central Committee be the governing body of the Constitution Party of Montana and shall formulate and provide for the execution of such policies, plans and measures as it may deem conducive to the best interest of the party, and in conformity with these By Laws. The State Central committee shall call all regular and special state conventions and make arrangements therefore, including the basis of representation, the time and place. The State Chairman shall be the chief executive officer of the state party and the chairman of the State Central Committee. The State Chairman shall issue the call for and preside at all meetings of the State Party. The State Chairman shall observe and enforce the By Laws of the state party. The State Chairman shall appoint necessary staff members and all standing and special committees. The State Chairman shall be an ex officio member of all committees. The State Chairman shall act as necessary to promote the functions of the party. The State Vice Chairman shall become the State Chairman in the event of a vacancy in that office. The State Vice Chairman shall perform the duties of the State Chairman when he is absent. The State Vice Chairman shall perform such other duties as the State Chairman may prescribe. Keep the official records of the State Party, including, but not limited to recording minutes of all meetings, maintaining membership and attendance lists and overseeing and managing Convention registration. Other access to party records may be obtained by written request to the State Central Committee, who may approve or disapprove such request. The State Party Secretary shall perform such other duties as the State Chairman may prescribe. Keep the financial records of the State Party. Keep and communicate the election financial calendar for the State Party. Be responsible for the fulfilling of federal and state financial reporting requirements as applicable. Prepare quarterly statements of incoming and expenditures for the State Central Committee and prepare an annual financial report. Manage receipts and disbursements of the state party. To prepare an annual budget to be approved by the State Central committee. The State Party Treasurer shall perform such other duties as the State Chairman may prescribe. The State Executive Committee shall be authorized to act on behalf of the Constitution Party of Montana for the purpose of administering the policies and programs adopted by the State Central Committee, and shall perform such duties as may be assigned to it by the State Central Committee. No person may hold more than one voting position of the State Executive Committee. The State Chairman shall convene the State Executive Committee at a regular time to be determined by the State Executive Committee but not less than four times per year, and shall have power to call a special Executive Committee Meeting after seven (7) days notice. Meetings may be in person, by conference call, via internet technology or a combination thereof. Fifty-one percent of the voting members of the State Executive Committee must be present to constitute a quorum. To assist county central committees in matters of organization. The duties of the County Central Committee shall be as specified in Montana Code. A County Central Committee may be formed when there are enough precinct committeemen in the county to fill the slate of officers specified by the Montana Code. The State Chairman, or his designee, shall preside as chairman of the meeting during the formation process. After election of a County Central Committee Chairman, Vice Chairman, Secretary, State Committeeman and State Committeewoman (if available) the elected chairman shall preside over the remainder of the meeting. The State Central Committee shall provide a sample draft of bylaws and the initial formation meeting of the County Central Committee. If necessary, the discussion and amendment of the sample draft shall continue in meetings thereafter until adopted. However, two items in the bylaws will be decided at the initial formation meeting: (1) A date and time for regular monthly meetings, and (2) The quorum requirement for conducting official business. The bylaws adopted by the County Central committee shall be submitted within six months. On the next regular business day, the State Chairman or his designee shall present the petitions for precinct committeeman, along with the names of elected County Central committee officers, to the county clerk. A request shall be made by the State Chairman to the county clerk and upon completion of the validation of petitions for precinct committeeman, and that it will be issued to the County Central committee chairman certifying the validation and acknowledging the establishment of the County Central committee. The County Central committee chairman shall forward a copy of the county clerk’s letter to the State Central committee within five working days after receipt. Where there is not an organized central committee in a county, the State Chairman may appoint an acting chairman to lead organizational activities and represent party members in that county until a formal organization is established. Meetings of the State Central Committee shall be held no less than quarterly at a time and place established by the State Chairman. Meetings may be in person, by conference call, via internet or combination thereof.. Meetings shall be at the call of the Chairman with fourteen (14) days notice for in person meetings and seven (7) days notice for meetings by conference call. A quorum of the State Central Committee meetings consists of two thirds of the current committee members. All party members are invited to attend State Party meetings, however, only State Central Committee members may vote. All members of the Constitution Party of Montana who are current on their annual state party membership dues are eligible to be delegates and vote at the State Convention. “Members” are defined as lawful Montana voters who are willing to make a declaration of affiliation to the Constitution Party of Montana. A Credentials Committee shall be appointed by the Chairman in accordance with these By-Laws, Robert’s Rules of Order  and applicable Montana Code to certify Convention Delegates. On conclusion of opening exercises, the Credentials Committee is to make known who is entitled to vote at Convention. Adoption of the Credentials Committee report sets the number and name of Convention Delegates. A Program Committee shall be appointed by the Chairman in accordance with these By-Laws, Robert’s Rules of Order  and applicable Montana Code to set Convention Business. On adoption of the Credentials Committee report, the Program Committee will submit the Convention Program. Once adopted, Convention Delegates may not deviate from the Program unless by a two/thirds majority vote. The State Convention shall be held in each even numbered year at a time and place to be determined by the State Central Committee, but no later than the third Saturday in August of the designated year. The State Committee Chairman shall cause notice to be given to each County Central Committee as soon as possible but no later than sixty (60) calendar days prior to the convention date. Robert’s Rules of Order, newly revised, shall govern the proceedings of the State Convention, and the rulings of the Chairman of the State Convention shall be the decision on the question before the body. The affirmative vote of the majority of the delegates present and voting at the State Convention shall be the act of the Convention unless otherwise specified in these By Laws. The Chairman of the State Central Committee shall preside at the opening of the State Convention and shall preside until the close of the Convention. In the order of business, a Chairman pro tem shall be appointed to conduct the election of a Chairman. The term of office of the Chairman Elect shall begin immediately upon the close of the Convention. The State Chairman or the State Secretary shall certify the names of the duly elected delegates and alternate delegates from Montana to the National Convention of the Constitution Party and promptly forward said names to the appropriate officer of the national Constitution Party. The state convention shall write and adopt rules and regulations governing the conduct of the convention. Elect any desired officers not otherwise provided for by law. Delegates to the National Convention are approved by a vote of the State Convention Delegates in a year that the National Convention is to be held. a. In the event that a National Convention is to take place before a State Convention would normally be scheduled, the State Central Committee shall select delegates to the National Convention at a special meeting for that purpose to be held no less than sixty (60) days before the National Convention. The State Central Committee may recommend a slate of National Convention Delegates. Other nominations may be made from the floor. State Convention Delegates vote for the number of allotted National Delegates. National Delegate positions will be assigned starting with the highest number of votes obtained until all positions are filled. Delegates with lower vote counts will fill alternate positions equal to the number of delegate positions. When the number of National Delegate positions exceeds the number of available Convention Delegates, all available Convention Delegates may be assigned as National Delegates. The State Central Committee may recommend a slate of National Committee Members. Other nominations may be made from the floor. State Convention Delegates vote for the number of allotted National Committee members. National Committee positions will be assigned starting with the highest number of votes obtained until all positions are filled. National Committee members and alternates are selected for terms of two years. In the event that a member of the National Committee is unable to serve or complete a term, the State Central Committee may select from its membership, a replacement to fill the remainder of the unexpired term. In the event that a National Committee member is unable to attend a National Committee meeting, an alternate for that meeting may be selected from among the members of the State Central Committee. Election of officers shall be by secret ballot. Voting on other issues may be by voice or raised hands, roll call or other, as determined by the presiding officer. Voting during conference call meetings, of necessity, must be roll call voice votes. Decisions shall be by majority vote unless otherwise specified in these By Laws, with tie votes decided by the State Chairman’s vote. A person holding multiple offices shall not be entitled to more than one vote. Presidential Electors are approved by the State Convention. Presidential Electors are pledged to cast their votes in the Electoral College for the Constitution Party of Montana candidates for President and Vice President of United States. Should a vacancy in the office of Presidential Elector occur by reason of death, refusal to act, failure to attend, ineligibility, or any other cause, the State Chairman shall appoint an elector to fill the vacancy, which appointment shall be subject to the approval of the State Central Committee, unless such appointment shall occur in such a time as to not allow sufficient time for the State Central Committee to approve it; in which case, the appointment by the State Chairman shall be sufficient without State Central Committee approval. The Chairman of the State Central Committee shall certify the following to the Secretary of State prior to September 1 in a Presidential election year as required by Montana code. If the Chairman fails to act, the next ranking officer shall fulfill the responsibility. No candidate shall appear on the state ballot under the State Party banner in a general election without the endorsement of the Constitution Party of Montana. Have all recognition and support withdrawn by a three fourths vote of the State Central Committee, when in their judgment, the candidate criteria in these By Laws have not been met. Such a candidate shall not run for office using the Constitution Party name and may be subject to legal action for failure to comply. When vacancies occur in positions previously filled by endorsed candidates before an election, or elected officers after an election, those positions shall be filled as specified in Montana Code. The Constitution Party of Montana’s fiscal year shall run from July 1 to June 30. No later than April 30, the Treasurer shall submit a proposed budget to the State Central Committee, which becomes the Party’s budget for the following fiscal year. No later than September 1, the Treasurer shall submit a financial report for the previous fiscal year. The State Central Committee may revise the budget at subsequent meetings. The State Central Committee may also authorize expenditures outside the budget. System for handling cash donations. Any individual may donate funds to the Party for a specific purpose. The Constitution Party of Montana guarantees such gifts will be used as directed, providing it is consistent with our mission and principles. All such designated donations and their disposition will be included in the regular Treasurer’s report. If the State Central Committee decides the purpose for which the donation is made is inappropriate, the person making the gift will be given the opportunity to re-designate his or her gift or have it refunded in its entirety. Non-designated donations will be put in the Party’s general treasury for the use at the discretion of the State Central Committee. The financial records of the State Party may be reviewed once a year by a committee composed of three members in good standing, none of whom are party officers, selected for this purpose by the State Central Committee. The report of their reviews shall be presented to the state convention. The party’s financial and other records will be made available for viewing to members in good standing by appointment. The then current edition of Robert’s Rules of Order shall govern the proceedings of the State Party whenever they are applicable and not inconsistent with these By Laws and the Montana Election Code or any special rules of order that the State Party may adopt. 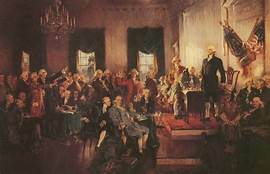 Amendments to these By Laws may be adopted by a two-thirds (2/3) vote of the delegates present at any State Party Convention, or by a two-thirds vote of the members present at any State Central Committee meeting and shall take effect upon approval unless a different effective date is specified and approved. Proposed amendments to the By Laws must be submitted in writing to the State Central Committee thirty (30) days prior to the meeting during which the amendments are to be considered. Proposed amendments to the By Laws shall be submitted in writing to the State Party Convention Delegates fourteen (14) days prior to the State Convention during which the amendments are to be considered. Proposed amendments to the State Party platform must be submitted in writing to the State Central Committee thirty (30) days prior to the State Convention during which the amendments are to be considered. Proposed amendments to the State Party platform shall be submitted in writing to the State Party Convention Delegates fourteen (14) days prior to the State Convention during which the amendments are to be considered. The State Party platform may only be amended at a State Convention. ATTENTION MONTANA CONSTITUTION PARTY SUPPORTERS!!! Please join us for our 2018 MTCP Tele-Convention this Sunday, April 15, 5-7:00 PM. If you are a registered Montana Voter, and are willing to declare your exclusive political affiliation with the Constitution Party, then WE WANT YOU!!! We are electing an Executive Committee consisting of a Chair, Vice-Chair, Secretary, Treasurer, Youth Outreach State Chair, and Four National Committee Members, who will elect a NCM Chair, who will serve on the MTCP ExCom. Contact 2018 MTCP Convention Chair, J.R.Myers at 907-690-5200 to obtain the OFFICIAL call in number and code. The Montana Constitution Party Tele-Convention 2018, has just concluded. This writer has been named Chairman and National Committee Member, Travis Orback has been named Secretary/Treasurer and National Committee Member. We will continue to build the party and seek and develop other leadership roles within the MTCP. The torch has been passed on from the former MTCP leaders. The MTCP renewal has begun! We plan on having a presence in Helena next month at the March for Our Rights, Saturday May 19 from 12-4PM at the Montana State Capitol. The Montana Constitution Party continues onward and upward!